Marriage is a beautiful thing, but the average American wedding is keeping a dirty little secret -- it's estimated that each of the 2.5 million weddings that take place each year produces 400 to 600 pounds of garbage and 62 tons of carbon dioxide, a greenhouse gas. On your big day, don't contribute to that frightening figure. Instead, in honor of Earth Day on April 22, take a look at these eco-friendly alternatives to some of the popular trends and traditions that are terrible for the environment. 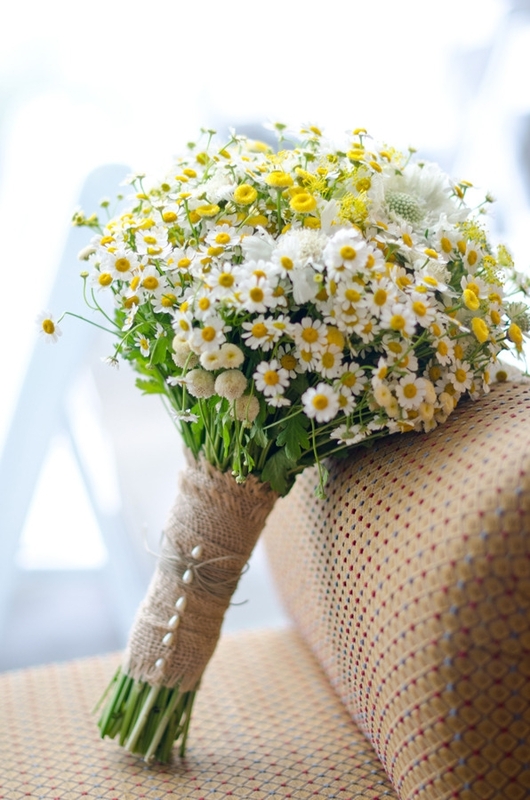 Read on for some great ways to green your wedding. 1. Instead of balloons, try umbrellas. Balloons are a lot of fun and they make great wedding decor, but unfortunately, they are far from green. Not only do they contribute to the landfill once the "I dos" are done, they're extremely harmful to birds, sea life, and other animals that swallow them. Instead, try hanging vintage umbrellas! They're stylish and colorful, just like balloons, and if you rent or borrow them, they won't end up at the dump after your wedding. 2. Instead of plastic confetti, opt for lavender or rose petals. We know how great glittering confetti looks when it's tossed on newlyweds as they make their grand exit. But, consider where all that plastic goes after the big moment. If you're marrying outside, much of it will remain on the ground where animals might find and swallow it. If your wedding is indoors, it will be swept up and tossed in the trash -- just another thing added to the landfill. 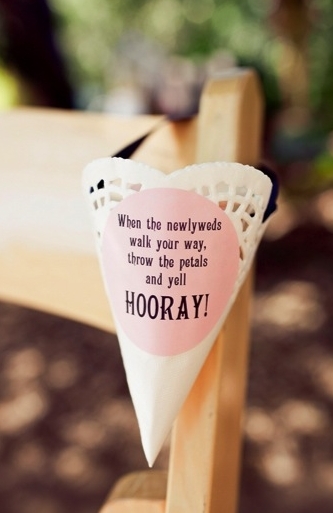 Skip the plastic confetti and try a lavender or flower-petal toss instead. Both smell great, have the same visual impact, and will biodegrade, leaving behind no waste. 3. Instead of exotic and out-of-season flowers, opt for local blooms. If you're dreaming of peonies for your December "I dos," you just might want to reconsider. Nearly every flower has a specific growing season (except for these flowers, which are available year round) and buying flowers -- such as peonies, which only bloom in the spring -- out of season is not only expensive, it's hard on Mother Earth. Choosing non-local flowers means your blossoms have to be shipped from faraway places, which involves transportation (burning fossil fuels) and chemical fertilizers that can leach into the soil. Skip the out-of-season blooms and go for a picked-from-the-garden look using local wildflowers, or talk to a nursery to learn about plants that are native to your region. You might be surprised by what you find! 4. 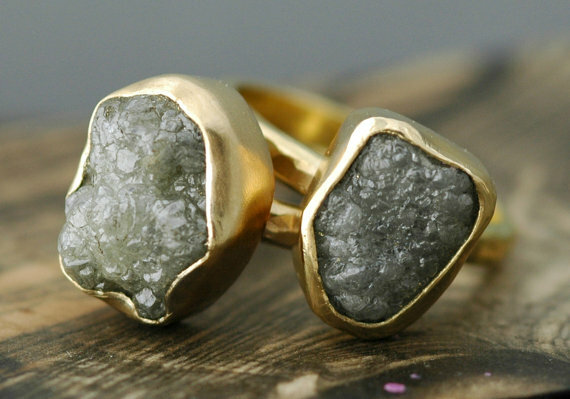 Instead of diamonds, wear a lab-created stone. The environmental and social impacts of diamond mining can be devastating -- lakes and other waterways are often destroyed, greenhouse gas production goes through the roof, and animal habitats on land can be totally wiped out. While giving a diamond as part of a marriage proposal is a ubiquitous tradition in the U.S., it's high time we consider some other options. Lab-created diamonds are widely available and absolutely gorgeous, and sustainably-mined conflict-free diamonds are becoming more and more popular. All it takes is a commitment to finding a sustainable stone and a little research to land the perfect ring. 5. Instead of paper programs and wedding decor, celebrate with sustainable decorations. Paper products are a huge part of any wedding. Things like invitations are a necessity (unless you're willing to go totally paperless), but there are plenty of other paper products -- such as programs, fans, and bunting -- that you can swap for more sustainable options. 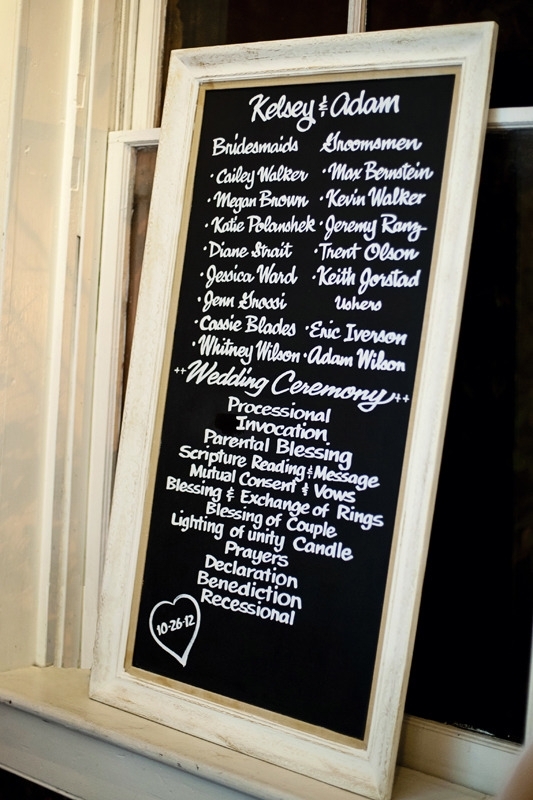 Instead of individual programs, hang a large chalkboard or other sign outlining the day's events. Choose string lights that you can rent or reuse and skip the bunting and paper poms. 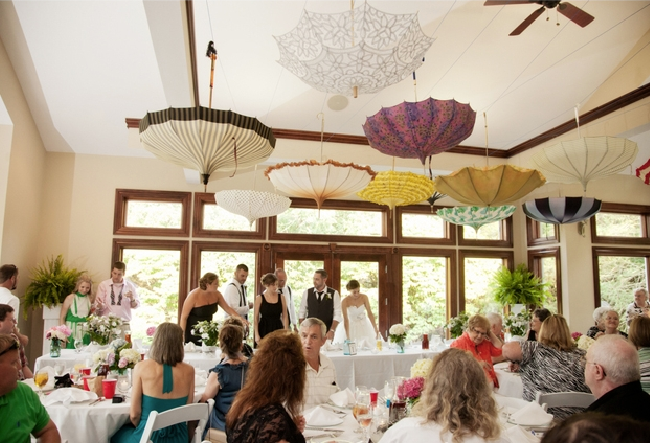 And instead of providing throwaway paper fans at an outdoor ceremony, rent large umbrellas and cover the space or provide reusable parasols.